The Sage Hill boys’ varsity team is having an impressive spring season so far. The team is currently undefeated, with an overall record of 7-0 with big wins over Troy High School, Newport Harbor, Santa Margarita and a sweep (18-0) over St. Margaret’s. Under a new competitive equity model for boys’ tennis, the team was moved up to CIF-SS Division 1 this year. They are one of only three teams at Sage Hill to achieve this Division 1 status. Girls’ tennis and football are also Division 1. “The team returns the majority of varsity players from last year and the expectations and goals for the team are high, including going deep in CIF-SS Division 1 team playoffs,” said Head Coach Whit Kenerson. 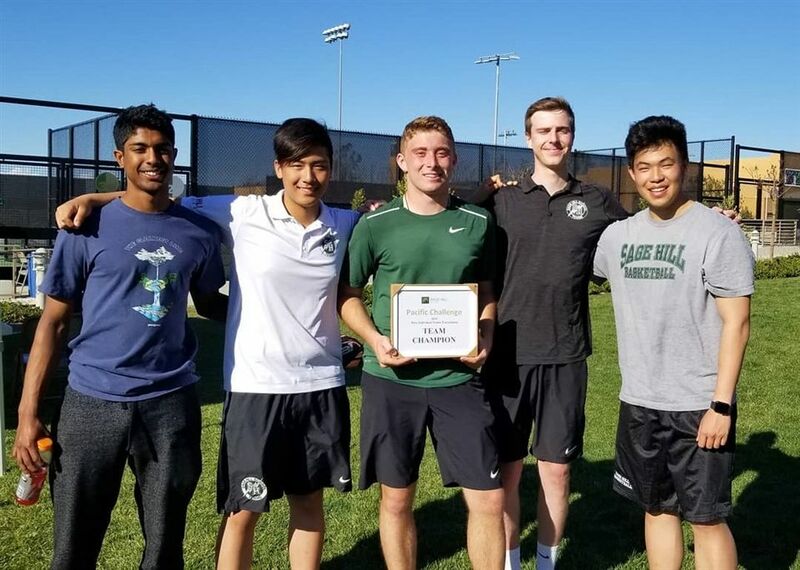 This past weekend, the varsity team won the Pacific Challenge tournament, which consisted of Cheshire Academy, Connecticut, Laguna Hills High School and San Juan Hills High School. The tournament was hosted at the Brett Connor Jordan & Family Tennis Center at Sage Hill. On an individual level, the top three singles players (seniors Emin Torlic and Steven Ferry and junior Rohun Krishnan) are all ranked in the top 200 in the nation in their respective age groups, and they currently have a combined win/loss record this season of 46-5. “This team is full of grit and determination and has the potential to be the best boys’ varsity tennis team in Sage Hill school history,” Kenerson said.